These days, undocumented residents are especially careful of who and where to ask for help. During a disaster situation such as an earthquake, a fire, or a flood, this population may be fearful of who to turn to in their hour of need. This is why it is important for everyone to recognize that the American Red Cross delivers help to whoever needs it during a disaster as part of their humanitarian mission. They will feed, shelter, and provide other forms of support without regard to race religion or citizenship status. 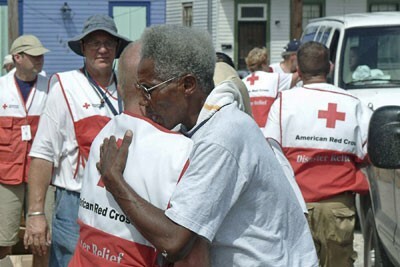 The Red Cross does not see cultural or ethnic backgrounds – just a person who is in need of help. 1. Does the Red Cross require people to show identification to enter a shelter or to obtain other kinds of help? The Red Cross will not ask people to show any form of identification to stay in their shelters or utilize their services. The Red Cross does ask for people to provide their name and their pre-disaster address at registration. However, this information is used to assign caseworkers and other necessary services. 2. 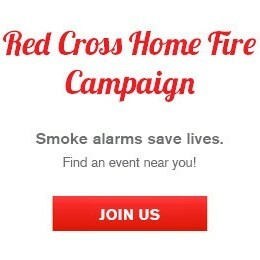 Is the Red Cross a Federal Agency? No. While the Red Cross is chartered by congress to provide disaster relief and other services, they are not a federal agency. Rather, the Red Cross often works closely with federal agencies during disasters, which may lead to confusion of their status. Since the Red Cross is a charity and not a government agency, as part of their humanitarian mission, they will provide their services to all people who have disaster caused needs. 3. Will the Red Cross report undocumented persons to FEMA, ICE, or other federal agencies or law enforcement? Since the Red Cross does not ask for citizenship information, they generally do not know whether people utilizing their services are U.S. citizens. If a shelter resident chooses to reveal that information or if a shelter worker somehow acquires that information, Red Cross staff will protect the person’s confidentiality. Furthermore, all federal partners are aware of the Red Cross’s policies regarding confidentiality. The Red Cross humanitarian mission means that they will provide services to anyone in need, regardless of citizenship status, and all government partners have respected their mission.